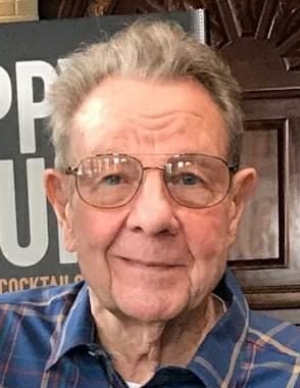 Roger W. Rounds, 81, of Fremont, OH died unexpectedly at his home on Sunday, April 7, 2019. He was born on August 18, 1937 in Harrisburg, PA to Clifford L. and Olive E. (Shaffer) Rounds. He was a 1956 graduate of Bay Village High School. Roger served in the Ohio National Guard (U.S. Army) from 1954 to 1957 and then served in the U.S. Marine Corps from 1957 to 1960 and was awarded Arm Forces Expeditionary Medal; Presidential Unit Citation; Good Conduct Ribbon and Sharpshooter Badge. Roger married Carolyn Sue Workman on August 8, 1964 in Cleveland, OH and she preceded him in death on June 23, 1995. He was employed by Eveready Battery Company in Cleveland, OH in 1966, starting as an “A” Mechanic. He was promoted and transferred to Fremont, OH in 1971, as a maintenance supervisor. Roger was then promoted to engineering technician and the final ten years of employment as the facility engineer. He retired after thirty-one years of service. Roger attended Grace Community Church. He was a member of the Antique Automobile Club of America; Early Ford V-8 Club of America where he served as Master Judge; Buick Club of America; Car Coddlers of Ohio; Pioneer Auto Club; Erie Shores Cruisers; National Rifle Association; 8th Air Force Historical Society; 390th Bomb Group; Liberty Aviation Museum in Port Clinton, OH; Masonic Lodge #703 in Rocky River, OH and Life member of Veterans of Foreign Wars. Roger loved to play golf; playing in five different leagues for over ten years. He owned several antique cars (mostly Fords). Roger enjoyed building model airplanes (mostly WWII Fighters) as he was a WWII buff. He did a lot of water skiing in his younger years and was a NASCAR fan. He also supported “Back to the Wild” and loved spending time at Bettsville Park while raising his family. Roger is survived by his children; Michael (Jenny) Rounds, Colorado Springs, CO, Sara (Patton) Scales, Auburn, AL, Chris (Talbot) Aldrich, Fremont, OH and Kathryn (Bob) Hicks, Independence, KY; longtime companion, Judy Nitschke, Fremont, OH; brother, Jay (Jean) Rounds, Rocky River, OH; grandchildren, who were the love of his life, Samuel, Johni Carolyn and Logan Eberly, Rachel and Bailey Scales, Austin Hicks; step grandchildren, Cyle, Derek and Madeline Aldrich and eight great grandchildren. He was preceded in death by his parents; wife, Carolyn Sue Rounds; brother, Alan Rounds. Services will follow at 11:00 am at the funeral home. Chris, you and your family are in my thoughts and prayers! Mike, Sara and family, so sorry for your loss. I met your dad while working at Chuds many years ago. My prayers are with all of you. Your dad had the coolest cars in the neighborhood. And your mom made the best chocolate chip cookies. So sorry for your loss. Roger was a wonderful man and you were all so very fortunate to have he and your mother guiding your lives. I respected both of them and know you will greatly miss him. God bless you and guide you through this difficult time. Your all in my heart and prayers ! May you all find comfort and love during this time ! Jacki and I would like to convey our deepest condolences to the Rounds family. Chrissy and family, I am so very sorry for the loss of your dad. He was a great guy and will be missed. May God bless you all and give you comfort and peace. Love to you all. Judy, I’m so sorry. Love you. Sending our condolences. Roger worked with my father at Union Carbide. I remember him well. Very kind man. Roger was a wonderful neighbor. I will miss the sound of his powerful voice from over the fence. He was a kind, sincere and thoughtful man. Prayers for all. The Armitage family extends our deepest sympathy to Roger Rounds wonderful family. When I think of Roger, I think of him tinkering in the garage and telling jokes. Corny ones, but his grin afterwards was always the punchline. Thanks for the memories “Rog”… You’ll be missed. I am so very sorry to hear about Roger. I only met him a few times, but I knew him and liked him through knowing you four. I know his loss will be so difficult to bears, but you can be very proud that he was so active and social and lived a good life with many friends. My heart aches for you. Linda and I would like to express our very deepest sympathy to the Rounds family in their time of sorrow. Judy my deepest sympathy! Roger was such a kind man and I always thought a lot of him. I know you will be lost without him but he truly adored you. And I hope you know that.